So the Chinese debate class is moving along, now to the meat of proper debate rules. Asia Debate will announce the debate topics toward the end of May. Our team will get to know their assigned topics then. 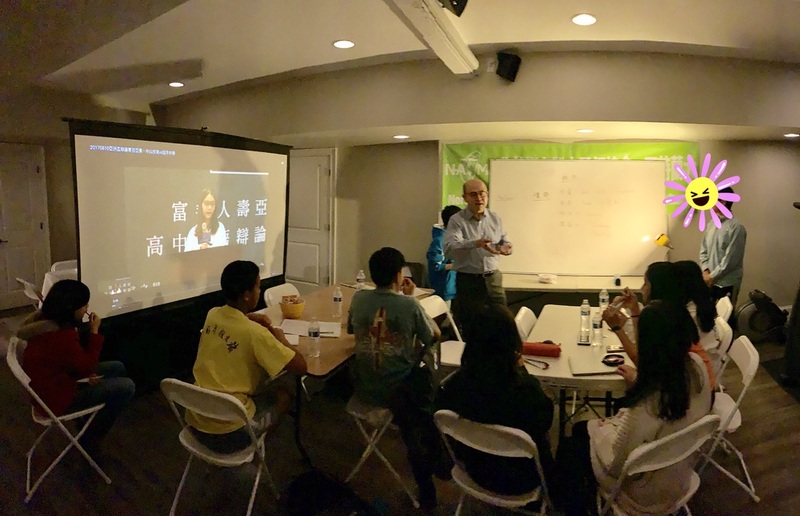 At the mean time, the coach gave reading-aloud assignment from United Nation’s Sustainable Development Goals to build up their Chinese vocabulary and familiarize themselves with UN topics. The website has simplified Chinese version, which I then copied and converted to traditional Chinese for my girls. For their initial readings, I changed the font to one with zhuyin to make it easier for them, though alternative pronunciation would not be accounted for. I sometimes find the translation less than optimal. DD#2, “Georgia”, almost 13 now, is finishing up reading aloud to fluency the first semester Chinese Language Art (CLA) textbook from Taiwan. My original plan was to move onto six grade second semester textbook, which would be the natural progression. But, now that she recently joined the newly organized Chinese debate team, I am changing our plan. Debate Asia, the organization that runs the Chinese debate competition, frequently uses as debate topics subjects that are of concern to the United Nation. There are, therefore, much use of social studies terminology and language, in Chinese of course. Regular CLA textbooks would not be efficient in providing such subject languages exposure. The following two pictures are from a 7th grade second semester CLA textbook that I prepared for my DDs before. Compare the above with the following images from an 8th grade second semester social studies textbook. As you can clearly see, the social studies textbook provides excellent and efficient exposure to relevant Chinese terminology and language. It is also fitting that these materials overlap with Georgia’s English based social studies course material at school, which makes learning via scaffold reading experience (SRE) possible. Yes, it is more boring to read these social studies textbook aloud, but I hope she can appreciate the language knowledge soon, when her debate competition gets closer and closer. We will see how it goes! One reader noted that I don’t blog as much about my DD’s Chinese learning journey these days. That is absolutely true. There is simply less to blog about these days, as we are mostly in late consolidation to maintenance phase. For me, most of the work for Chinese learning before they finish high school would have been done toward the end of middle school. DD#1 “Charlotte”, almost 16, is finishing up 10th grade. She has already switched track and commit most of her effort and time to academic and extracurricular activities with emphasis on future college application. She attends a competitive high school and it is harder to stand out these days. I have her do just a little maintenance type of Chinese reading to keep up her proficiency. We continue to converse in Chinese at home, though I do have to correct her often as our conversation topics and depth increase further. We spend maybe 15-20 minutes a day watching a Chinese high school teen soap 「致我们单纯的小美好」or “A Love So Beautiful. She loves the show but cringes at the awkward teen puppy love interactions, LOL. 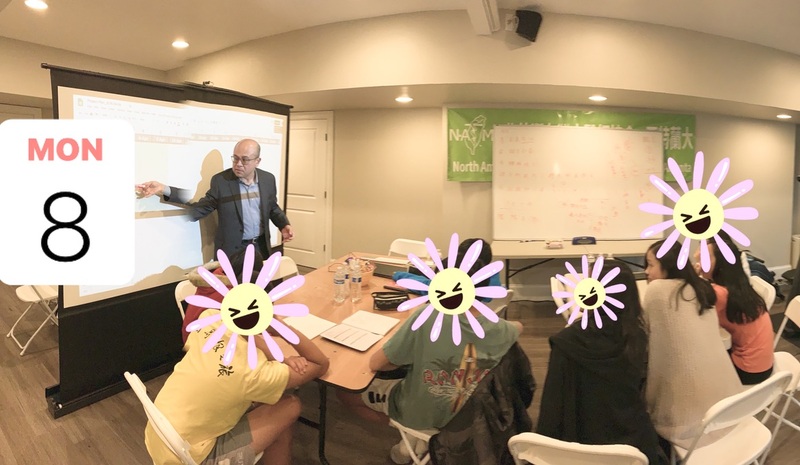 Charlotte does attend a Saturday simplified Chinese “AP” class a couple of times a month just to maintain some exposure to AP Chinese topics. There are only two to three students in the class, one of whom is my DD#2. That class provides more of an exposure to the Chinese AP topics rather than being a test preparation course. It is unfortunate that her high school doesn’t have Chinese AP class. However, since my goal has never been about test taking and has always been about actually knowing and using Chinese as a communication tool, I am not sweating it and would rather that she commits her time to other areas. For more formal instruction, I recently resumed having her read aloud select piece in CLA textbook about 10-15 minutes a day several days a week, picking up where we left off almost two years ago in 6th grade CLA textbooks. That’s all the time she can commit to Chinese these days. But we hope to move onto junior high level textbooks soon. The good news is that she has just been recruited to join a brand-new southeast regional Chinese debate team that will compete in Taiwan with teams across Asia at the end of the summer. This is a wonderful opportunity to hone in her Chinese colloquial proficiency, as I have been seeking out extracurricular activities that require much actual Chinese usage. Since there are few such activities for teens, we often have to come up with our own, such as our band. To receive coaching in Chinese for debate conducted in Chinese is like a dream-comes-true. So, hopefully the whole things goes smoothly. As for my almost 13 years old DD#2 “Georgia”, we continue to do Chinese read aloud exercises 5 days a week as mentioned in recent blog entries. She is using 6th grade textbook also, moving at a faster pace than “Charlotte” three years back. She attends the same casual Saturday “AP” Chinese classes every week, which I plan for her to repeat next year to improve her familiarity with simplified Chinese and get really acquainted with the material. She watches about 30 minutes of Chinese drama 後宮甄嬛傳 with me at night, which she loves. “Georgia” is also finishing up reading the third book (out of four) of 神雕俠侶 kungfu novel. I recently printed the remainder of the novel out with zhuyin included, since her comprehension and reading speed do go up with them. I plan to have her finish reading this novel with zhuyin assistance and then try another 金庸‘s kungfu novel without zhuyin. She doesn’t particularly enjoy reading Chinese kungfu novel (but loves watching such TV shows) and that’s why it has been taking this long. Maybe I should have her pick out the next novel herself. “Georgia” was also recruited to try out the Chinese debate team as well. She took three semesters of English debate classes before; so, this will be an excellent opportunity for her as well. In terms of her English, she is doing extra reading comprehension exercises to “close the gap” further. She is in accelerated ELA class one grade level higher at school, but can still work on her English more. She is not one of those “brilliant” kids who are two-three years (or more) ahead in multiple subjects. My best guess is that such “brilliant” kids probably have IQ (in the general sense) of around 150 (~1 in 2,000 people) or higher. In terms of our band, we performed four times in February and are taking a little break. We plan to work on one popular Cantonese and one Taiwanese song in the coming months. 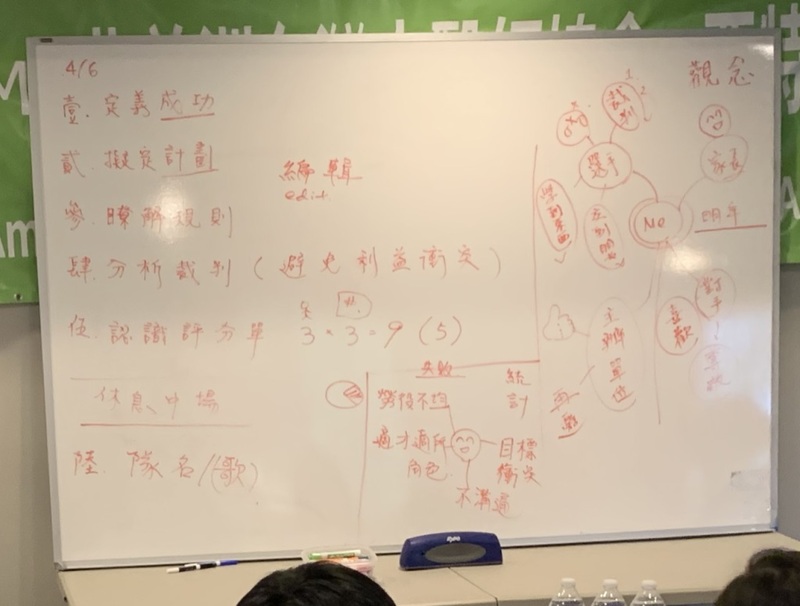 Overall, IMHO, how well a child handles Chinese-English bilingual education in the tween to teen years, even with favorable Chinese Language Ecosystem (CLE), depends much on the individual’s general intellect, given high level competition for top college spots these days. Most children likely need to divert attention away from Chinese learning to participate in the college application rat race. So, it is ever more important that the majority of a solid Chinese instruction and foundation be laid down by the end of middle school. About 5 weeks out from when DD#2, “Georgia”, started working on a 6th grade Chinese Language Art textbook (first semester) from Taiwan, she is right on track, at a pace of one chapter a week. She just finished reading to fluency chapter 5. It is on 翠玉白菜 or Jadeite Cabbage, a piece of jadeite carved into the shape of a Chinese cabbage head with insects on the leaves. It is a prized piece at the National Palace Museum in Taipei. This is a tougher piece for her to read aloud, given it is an expository and descriptive writing, with more difficult expressions and wording. I think she’s got it down pretty good after working on it for about an hour and half, spread over five days or so. Sixth grade Chinese Language Art textbook from Taiwan is indeed a step tougher than that of fifth grade. It takes DD#2 a bit longer to read till fluency. Our family band “Tu & Only” (杜ㄧ無二）performed three times this month for various Chinese New Year festivities. To get a glimpse of my DD’s (12 and 15) current colloquial fluency and accent, at least on a scripted level, you can listen to their introductory remarks at the beginning of the first video. They do speak Chinese at home with each other about 80% of the time, at least when I am around. When they say things incorrectly in Chinese or don’t know how to say certain things in Chinese, I do my best to correct them and then ask them to repeat it a few times. Since I left Taiwan after fifth grade, not infrequently do I have to look up things I don’t know how to express in Chinese as well. We then learn to say it together. These are normal part of our lives and the girls don’t get mad at me for doing so. I learned to play the bass guitar (very badly though) a year ago so that I can play along with the girls. Then, I got busy at work and haven’t practiced much. A few months ago, I decided to learn to play the drum (also very badly….) and let DD#2 play some of the bass. I learn just enough to get by. The next video is DD#2 singing 楊培安‘s 「我相信」 (I Believe). Our third song was better recorded from an evening church performance the day before. It is 流星, the Chinese version of “Yellow” by Coldplay, one of the theme songs in the movie “Crazy Rich Asian” last summer. The last song is the classic CNY song 恭喜恭喜 by 陳歌辛. You can listen to their closing remarks at the end of the video. Our band is getting better with each performance over the past year, though we still need to squeeze in vocal lessons in the future. A major local Chinese school troupe just asked us to collaborate with them in the future! Not bad for the end of our first year! Our family band has certainly brought the family even closer and has given us more things to talk about, in Chinese of course!